There is something about the taste of chocolate. It is so decadent, so tantalizing, it has such a feel good taste. But chocolate is high in sugar and fat and has a negative impact on health, contributing to weight gain. 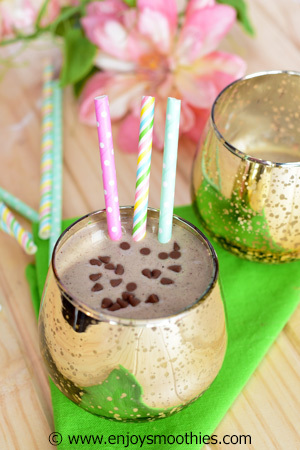 But there is a way to enjoy the guilty pleasures of chocolate smoothies without the harmful effects. The secret is cacao. Cacao comes from the beans of the Amazonian cacao plant. This is the source of all chocolate and cocoa products. Cacao is basically the raw product, the purest form of chocolate. Cocoa on the other hand is made when the cacao bean has been roasted with a bunch of sugars and fats added to make it more palatable. 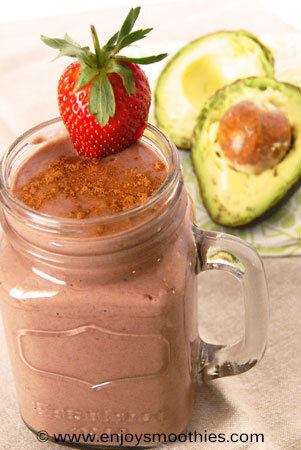 The best way of adding cacao to your smoothies is either in powder form or cacao nibs. I usually start with a tablespoon of cacao powder as it has a rather strong taste and I don’t want it to overpower the other flavors. You can always add more later. Because of its slight bitterness it will need sweetening. Now if you have switched to cacao for health reasons, please don’t sabotage your efforts by adding sugar. There are many ways to sweeten cacao. One of the best is fruit. What goes best with cacao? Think of your favourite chocolate desserts. Basically whatever goes with chocolate will go with cacao. 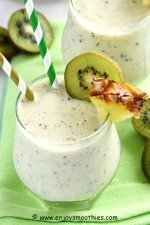 It works well with creamy ingredients like avocados and bananas, but also goes with berries, oranges, pears and of course coconut. Cacao contains the highest concentration of antioxidants of any food in the world. These antioxidants include polyphenols, catechins and epi-catechins. Did you know cacao has more antioxidants than red wine? 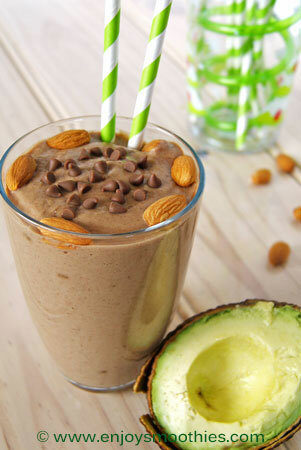 Add to your blender the frozen banana, hazelnut butter, almond milk, vanilla yogurt and cacao. Turn on high and blitz until all ingredients are smooth and creamy. 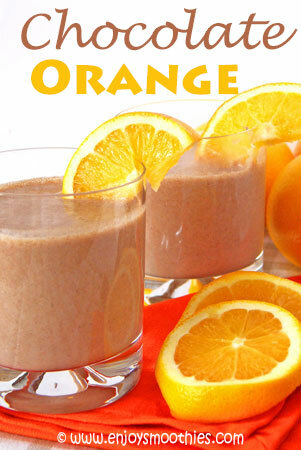 Place segments orange pieces into a blender. Add frozen banana, yogurt, orange juice and cacao. Blitz on high until all the ingredients are smooth and creamy. Peel and de-seed an avocado. Place half into a blender jug. Add strawberries, almond milk, vanilla yogurt and cacao. 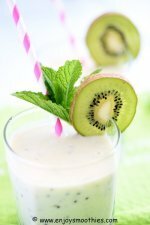 Blend until your mixture becomes thick and creamy. Pour into 2 glasses then sprinkle over the cinnamon. Peel and de-seed the Medjool dates and avocado. 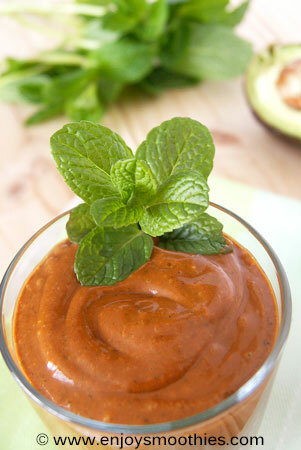 Place the dates into your blender, along with the Goji berries, cacao powder, half the avocado and the coconut milk. Finely chop a handful of mint leaves. Add about 3 tablespoons to your blender. This may sound like a lot, but you really need to get that minty flavor going. Turn your blender on and blitz until your ingredients are smooth and creamy. Chop and deseed your dates and the avocado. Add these to your blender along with the almond butter, cacao powder, vanilla extract and almond milk. Normally I would advise doing a taste test before adding the vanilla, but cacao can be rather bitter, so it needs sweetening. This way we’re using natural sweeteners rather than adding refined sugars. Much better for you. Turn your blender on and blitz until thick then pour into a glass. 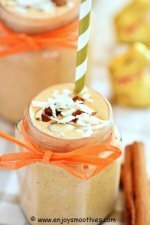 This smoothie is very thick and creamy, so add more almond milk if you like it thinner.